Rightwing Rumblings: Like Mom ,Rahul Gandhi was KGB agent ! Original Book written by Al?bats, Evgeniia exposes contains KGB files to prove that --- Book "Mina zamedlennogo deistviia (politicheskii oortret KGB)", ISBN: 5865080091 , in Russian Language contains the Copy of KGB Document F.5, OP. 6, POR. No. 12, D 131 T.I., L.T. 103-4 which exposes Rahul Gandhi . Visit to Library of Congress and get access to the Book and look for the copy of this KGB document : F.5, OP. 6, POR. No. 12, D 131 T.I., L.T. 103-4 and get it translated . Mina zamedlennogo deistviia : (politicheskii portret KGB) / Evgeniia Al?bats. 313,  p. : facsims. ; 21 cm. KGB Chief Viktor Chebrikov addressed to the Central Committee of the Communist Party of the Soviet Union (CPSU). Chebrikovs letter which states blandly that the ?KGB maintains contact with R. Gandhi, the son of Prime Minister Rajiv Gandhi...?, and goes on to add an even more damaging revelation of Chebrikov that R. Gandhi expresses deep gratitude for benefits accruing to the Prime Ministers family from commercial dealings of Indian firms he controls in cooperation with Soviet foreign trade organizations. R. Gandhi reports confidentially that a substantial portion of the funds obtained through this channel are used to support the party of R. Gandhi. The Russian spy agency KGB had deposited US $2 billion (Rs 9400 Crores) in a Swiss bank account in 1985 in the "minor" account of Rahul Gandhi managed by his mother Sonia Gandhi that was reported years back in .Schweitzer Illustrierte, a Swiss news magazine. DOCUMENTS : CPSU by a resolution CPSU/CC/No 11228/3 dated 20/12/1985 and the same was also endorsed by the USSR Council of Ministers in Directive No 2633/Rs dated 20/12/1985. He also claimed that these payments had been coming since 1971 as the payments received by Sonia Gandhi's family "have been audited in CPSU/CC resolution No 11187/22 OP dated 10/12/1984. Speaker, Shivraj Patil, had the name expunged. 2. 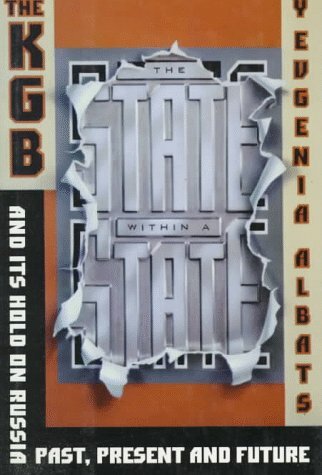 Get the book "State Within a State" and read for more information , and check the KGB Archives which are opened . In year 2000, Securities and Exchange Board of the United States and other revenue authorities were investigating into Rahul Gandhi?s deposits into his account in the Credit Swiss First Boston (CSFB) Bank -- some "hot money"
He suggested to Mr Sinha that the Enforcement Directorate in India could seek the help of the CSFB and the US authorities on the nature of the deposits in Rahul Gandhi?s accounts in U.S. and London and also trace Mr Zieger. Dr Swamy alleged that Ms Gandhi?s visited U.S. to prevail on the Bush Government for an out-of-court settlement involving Rahul Gandhi. TWO BILLION DOLLARS IN RAHUL GANDHI'S ACCOUNT? NEW DELHI: Schweitzer Illustrierte, a Swiss news magazine, has alleged in an old issue that the Soviet intelligence agency KGB had deposited US $2 billion in a Swiss bank account in 1985 in the "minor" account of Rahul Gandhi managed by his mother Sonia Gandhi. Janata Party President Dr Subramanian Swamy, who had secured an order from the Delhi High Court to the CBI to investigate alleged receipt of slush money by late former Prime Minister Rajiv Gandhi's family, has cited a November 1991 issue of the Swiss magazine in support of his charge. In an affidavit filed before the High Court, Dr Swamy has contended that the CBI should have atleast contacted the news magazine to ascertain the facts. Dr Swamy says a proper CBI inquiry would reveal a scandal which will make the Bofors kickbacks pale before it as it involves corruption indulged in by late former Prime Minister Rajiv Gandhi and exposes the slush money received by Congress President Sonia Gandhi. Dr Swamy has contested the CBI's contention before the High Court last month that the "allegation" that Rahul Gandhi had received benefits from the commercial dealings of an Indian firm in coopertion with the Soviet foreign trade organisations is vague and hence it did not conduct any inquiry. He has claimed in the affidavit that during his recent visit abroad this year, he had received "reliable information" that then KGB chief Victor Chebrikov had sought, in writing in December 1985, from the Central Committee of the Communist Party of the Soviet Union (CPSU), "authorisation to make payments in US dollars to the family members of Mr Rajiv Gandhi, viz Sonia Gandhi, Rahul Gandhi and Ms Paola Maino, mother of Sonia Gandhi." He has further claimed that the payments were authorised by CPSU by a resolution CPSU/CC/No 11228/3 dated 20/12/1985 and the same was also endorsed by the USSR Council of Ministers in Directive No 2633/Rs dated 20/12/1985. He also claimed that these payments had been coming since 1971 as the payments received by Sonia Gandhi's family "have been audited in CPSU/CC resolution No 11187/22 OP dated 10/12/1984. CHENNAI, June 19: Janata Party president Dr Subramaniam Swamy has urged the Union Government to obtain from Congress president Sonia Gandhi and her son Rahul Gandhi a full disclosure of the accounts both operate abroad. Dr Swamy, who released his letter to Finance Minister Yashwant Sinha at a press conference here today, claimed that the Securities and Exchange Board of the United States and other revenue authorities in that country were investigating into Rahul Gandhi?s recently depositing some "hot money" into his account in the Credit Swiss First Boston (CSFB) Bank in the United States. He claimed that one such deposit was from an account operated by one Mr M S K Zieger on behalf of a trust. The hot money was garnered through drug dealing by the mafia, Dr Swamy claimed in his letter to Mr Sinha. Dr Swamy alleged that Ms Gandhis forthcoming visit to the U.S. was to prevail on the Bush Government for an out-of-court settlement involving Rahul Gandhi. He also claimed that Ms Gandhis visit to Iceland was for a proposed meeting with the representatives of the LTTE and to make an attempt to erase her mothers links with that terrorist organisation. Referring to the forthcoming Summit between Prime Minister A B Vajpayee and Pakistan?s military ruler Gen Musharaff, Dr Swamy said the latter should not come with "high expectations" and go back disappointed. He said there was no scope for the partition of Kashmir or to recognise the Line of Control as an international boundary.